This is .40 S&W Remington UMC Target 165gr. Nickel Case FMJ Ammo. UMC handgun ammunition is made with Remington components right here in the USA, and provides shooters with the optimum blend of value and performance. 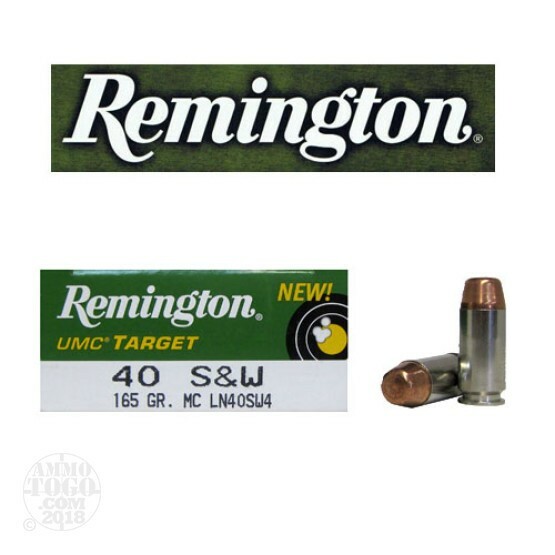 UMC Target ammo has nickel plated shell cases to ensure smooth and reliable target shooting. This ammo is packed in 50rd. boxes, 500rds. per case.